I know Ya’ll have see this video in the States but I am not sure those of us here in the Pacific have. Gives me goose bumps every-time. I found this website from Twitter and am passing it on to you. I eat most of these super foods each day. Not so much Acai Berry but the others are usually in my diet. This is an excellent article, worth the read. 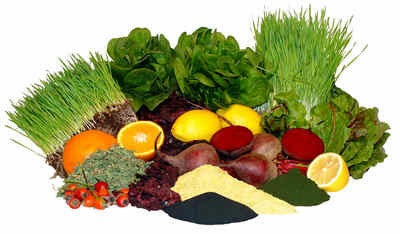 1　Green Food– These foods are full of rich nutrients, especially wheat grass and barley grass. The benefits from these young grasses will revolutionize your life, as they will lower your blood pressure, keep your immune system in check, lower your cholesterol and keep cancer at bay. On top of all these beneficial attributes, they are high in chlorophyll, which helps in disease prevention, plus keeps the internal odors down significantly. Another great thing about these small grasses is they will diminish your bad breath. They can be found in health food stores in the form of a supplemental pill, from dried ingredients, or can be juiced from the green form. 2　Hot peppers– Chili peppers are especially high in properties which will combat heart disease, they are analgesic, anti-cancer and anti-inflammatory. The compounds contained in these hot peppers are anti-oxidants and vitamin C, with twice as much as in citrus fruits. These peppers may be put in almost any dish that can be made to receive these nutrients to help in having a more healthy body. 3　Beans and lentils– World wide these foods are used in so many dishes, because of all the benefits received when they are consumed. First of all, they are low in fat, high in fiber, so are wonderful foods for anti-diabetic diet, as they are released into the blood stream very slowly. One other great thing about these foods, and everyone will be interested in this, they are anti-aging. You will feel full longer, and have more energy. For each meal, eat 1/4-1/2 cup of these beans or lentils. 4　Nuts and seeds– Are you interested in losing weight and not having any hunger pangs? How about a food that can reduce the sagging skin and wrinkles? Nuts or seeds will do all of these, so if you feel hunger creeping up, have a handful of nuts, very filling and totally satisfying and of course very healthy for you. You can use them in so many ways besides eating whole, ground on your cereal, put into a salad and the list goes on. 5 The family of allium– They consist of; scallions, garlic, onions, chives, leeks and shallots. These foods protect the liver as an antioxidant, will prevent cancer, eliminate carcinogens and toxins from the body. Whenever possible it is advised to eat these in their raw state. They will lower the blood pressure, cholesterol, and raises the good cholesterol. 6 Acai- This is a little red berry from an Amazon palm tree, containing nutrients and is the most energy -packing power food in the world. These berries have a taste similar to chocolate and berries combined, and can be found in most health food stores as a juice. The most recommended form though is an unsweetened pulp, but is difficult to find. Their healthful properties are endless and the most beneficial of all foods. 7 Yogurt– This food is known to promote the very best health properties. These are called functional foods, cultured and fermented milk products, which have been around for generations. These ancient foods have been here for that long for a reason, and we need to pay attention to this fact. They are considered probiotic, which means they will help in the fight against infectious diseases.